It is universally accepted that as we age, we lose volume from the fat pockets of our face. skin becomes laxed and wrinkled. The hollowing or depressions are mostly evident under the eye, mid-cheek, temples and in the areas where folds are formed such as nasolabial folds, marionette lines and prejowl areas. 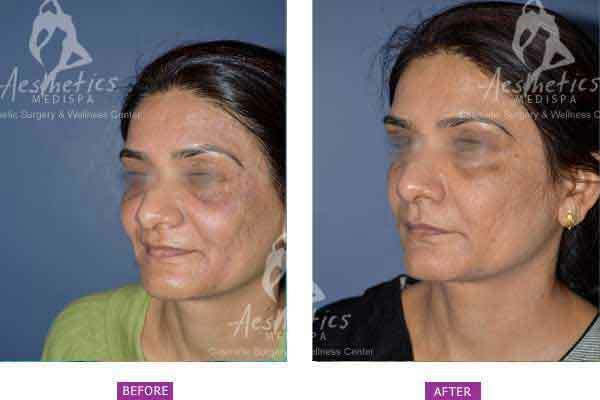 Restoration of volume in these areas has a rejuvenating effect on the face. Skin laxity can also be caused by several heritable connective tissue disorders. In the ageing skin, acquired skin laxity seems to be a result of the combination of intrinsic and extrinsic processes. A major extrinsic factor is an ultraviolet radiation (UVR), which can be potentiated by smoking. No one likes to see a black half moon (dark circle) under the eyes. Everyone suffers from the problem of dark circles at some point in time. However, some people suffer from it every now and then. There are many misconceptions about dark circles; one of it is that dark circles appear due to stress and disappear after stress reduces. Dark circles actually appear due to leak in capillaries. More and more people are turning to cosmetic doctors for rejuvenation techniques, to help their face reflect the way they feel inside. BOTOX® (Botulinum) treatment, fillers, skin tightening and lifting and dark circle reduction, are some of the rejuvenation techniques. Botulinum Toxin is a protein derived from the toxin secreted by Botulinum bacteria. It is popularly used for reducing and removing the wrinkles or fine lines of the face. It acts by paralyzing the superficial muscles under the skin, which are responsible for the wrinkles. When the muscle does not contract, wrinkles do not appear and skin does not thin. 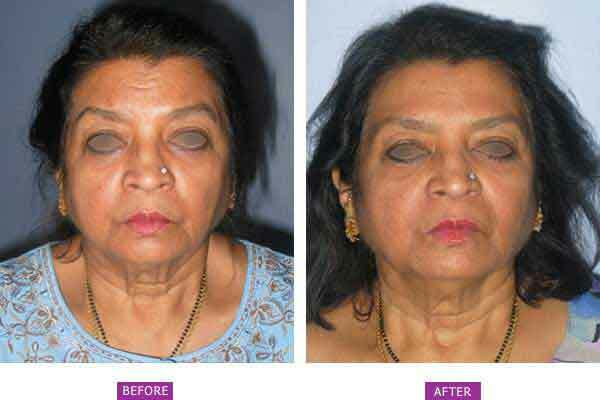 Thus Botulinum Toxin not only works therapeutically to treat early signs of ageing but also helps in prevention. Fillers as the name suggests, are injectables that replace volume, where volume is lost. Fillers can be synthetic or natural. A natural filler is our own body fat. A synthetic filler is a Hyaluronic acid. Monopolar radiofrequency is one of the modes in which radiofrequency can be used in medicine and cosmetics to treat skin laxity. Chemical peels and laser are some of the treatment options available for dark eye circles. Consult our expert doctors at Aesthetics Medispa who are experienced in BOTOX and other anti-ageing treatments and will help you bring back your youthful look. When we are young our skin springs back to its initial position after facial expression, but as we get older dynamic wrinkles remain on the skin to form static wrinkles; these are wrinkles and folds that are present at rest. This process occurs because of natural, substances such as collagen (the major structural protein in the skin), elastin (the protein that causes tissue to stretch) and hyaluronic acid (which gives skin volume) decrease with age. This together with environmental factors such as exposure to sunlight, smoking and stress all contribute to the creation of wrinkles and folds. BOTOX® is a natural, purified protein that relaxes wrinkles causing muscles, creating a rejuvenated appearance. BOTOX® is a simple procedure that relaxes select facial muscles to smoothen out lines and wrinkles on your face. No anti-ageing cream comes close to the skin smoothening effect of BOTOX®. BOTOX® is used for the treatment of crow’s feet (the lines that radiate from the corner of your eye when you smile or squint), forehead lines (the horizontal lines that form when you raise your eyebrows), glabellar frown lines (the vertical lines that appear between your eyebrows when you frown) and bunny lines (the lines formed on the nose that pronounced when you scrunch). Myth #1 – Botox is only effective for facial lines. 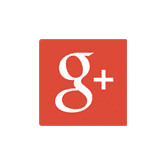 Fact – Botox is also used for reasons other than just cosmetic processes. Botox is commonly used to block sweat glands temporarily, which helps people who suffer from excessive sweating. This has also been used to treat migraines and helping to release some of the muscle tension, in turn reducing the strain on your nervous system. Botox can even help patients who regularly experience depression. Myth #2 -Botox gives a frozen and expressionless look. Fact – Botox gives a great look, and yes they can express emotions more beautifully if Botox is done in the right manner. The treatments we do are individualized to each of our patient’s unique needs. 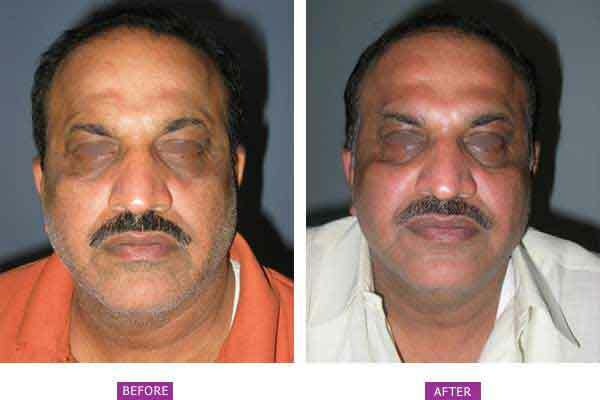 The treatment simply relaxes the muscle at the injection point and can display the entire range of facial expressions. Myth #3 – Botox is unsafe, toxic and dangerous. Fact – With nearly 20 years of use for a range of different conditions, Botox has a long and well-established safety history. More than 16 million treatments have been performed since it was first introduced. No long term side effects have ever been seen in users of the treatments even in people who have received 30 or more injections in 9 years. Botox has been extremely popular throughout the years helping people to gain youthful appearance. Myth #4– Only women do botox. 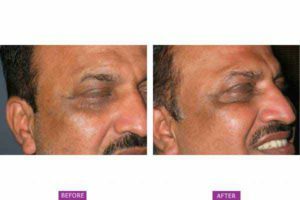 Fact – There are men opting for Botox injections as that makes them look young and charming. Men are increasingly turning to the treatment to help soften their look and facial features. The treatment is more socially acceptable in both sexes. BOTOX treatment can be used to relax specific facial muscles that cause dynamic wrinkles (these are the wrinkles that are formed during facial expression). Once the muscles are relaxed, you cannot contract them and continue to make the undesirable facial expression. Thus the lines gradually smooth and new lines are prevented from forming. The effect of Botulinum Toxin will last a variable length of time depending on the size and power of the muscle. However, it usually lasts between four to six months. One should expect a gradual relapse of the wrinkles. If you can have repeated BOTOX treatment the effect tends to last longer. If you choose not to have further BOTOX treatment your muscles will eventually return to normal activity and your wrinkles will gradually revert to their pre-treatment levels. Botulinum Toxin is relatively risk free and no significant long-term complications are known. However, if given wrongly or in far too much concentration, it can cause muscle paralysis in unwanted locations. 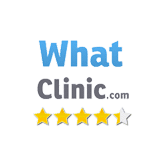 BOTOX treatment is a non-surgical procedure whereby a small amount of BOTOX is administered into selected facial muscles by a trained medical professional using a very fine needle. Generally, BOTOX treatment takes around 15 minutes. Discomfort is typically minimal and brief, and no anesthesia is usually required. The injection may sting for a few seconds but normal activities can be resumed soon after. After the injection, it takes 4 days for BOTOX treatment to begin taking effect and about 7 days to see full effect. The dose recommended for the treatment will vary depending on your individual situation and severity of your lines. Your doctor, at Aesthetics Medispa will know the best dose is for you and which muscles to inject to give you the best results. 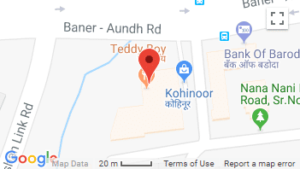 WHAT TO EXPECT RIGHT AFTER BOTOX TREATMENT? There will be a mild swelling and redness at the injection point, but they should disappear in about a day. Do not rub or wash your face vigorously after Botulinum Toxin injection, to allow proper fixation of the drug and preventing spread in unwanted areas. Also, do not massage the face. The effect of Botulinum Toxin will start appearing in three days and will take approximately one week to take full effect. IS FACIAL EXPRESSION IMPACTED FROM BOTOX TTREATMENT? 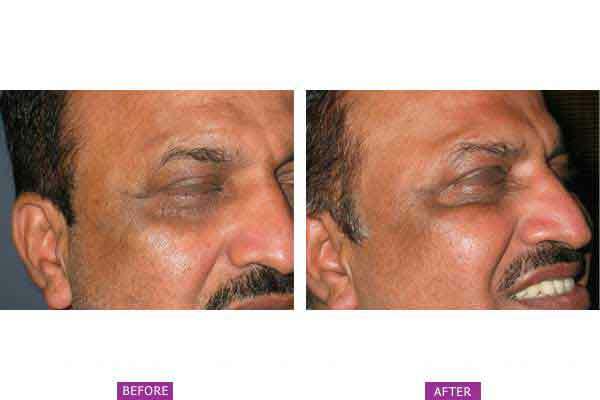 BOTOX® works specially on the muscles treated. This means that any muscles left untreated, including untreated facial muscles should not be affected by the BOTOX® treatment. Your doctor will determine the best dose for you and which muscles to inject to give you the best results. Many people use BOTOX® in combination with other cosmetic products and procedures to achieve better results. Your doctor at Aesthetics Medispa will advise whether you will benefit from combining BOTOX® treatment with other products and procedures. In addition to its use for cosmetic reasons, BOTOX® treatment is also used to treat patient in a variety of therapeutic indications including cerebral palsy in children, movement disorder (head, neck, shoulder, face) and axillary hyperhidrosis (excessive underarm sweating). 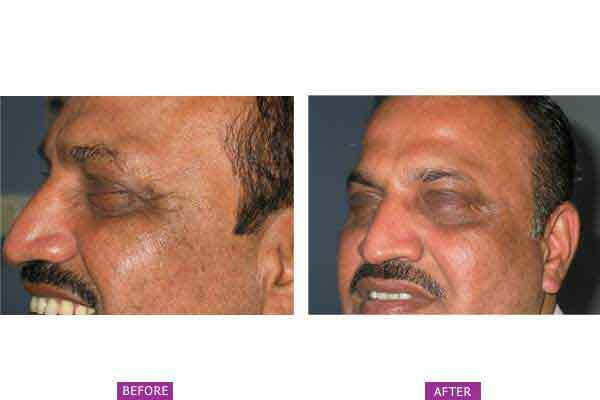 In the amounts used for the treatment of upper facial lines, the side effects are usually temporary localized to the area of injection. Possible side effects, include headaches, pain, burning/stinging, bruising, swelling or redness at the injection site, local muscle weakness including drooping eyelids/eyebrows, swollen eyelids, skin tightness, itching/aching forehead, nausea and flu-like symptoms. 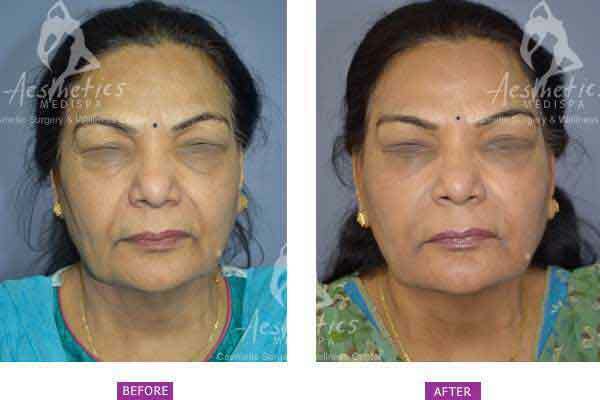 You should consult a cosmetic surgeon experienced in anti-aging treatments. At Aesthetics Medispa, our expert doctors will determine the exact dosage, units of Botulinum Toxin and the sites to administer them to effectively deliver best and natural results for you. Hyaluronic acid or NASHA (Non-Animal Stabilised Hyaluronic acid ) is a popular synthetic injectable filler marketed by many renowned companies with various trade names. These are completely inert products that are cleared by our body slowly by hydrolysis (converting to water). They are completely harmless with no side effects. Injecting these fillers is quite like giving an injection. The filler will fill the area restoring volume and hydrating the tissues. The longevity of the filler will depend on the crosslinking or consistency. Some fillers are cleared by our body in six to eight months while some last up to two years. Various companies have tried to increase its longevity or lifting capacity by adding various elements such as Hydroxy appatite, or collagen. However, there is an increase in complications such as granulomas or nodularity, infections etc. Hence, it is wise to ask your doctor which type of filler is going to be used and whether it has any risks before agreeing to have an injection done. WHO CAN HAVE SYNTHETIC FACE FILLERS? Any adult over 18 years of age can have synthetic fillers provided they do not have any known allergy to the substance. Although allergy is very rare, it cannot be completely ruled out. Although considered safe, it is not recommended for pregnant women or severely immunocompromised. HOW IS THE ACTUAL PROCESS DONE? You will be awake and chatting during the procedure. You will be given a mirror to compare and see the result. The result is almost instantaneous during a synthetic filler injection. Fat grafting is a minor surgical procedure and requires more anesthetic. Sometimes we opt for local anesthesia with sedation. The results are not instantaneous. CAN FACE FILLERS BE USED FOR ANY INDICATION OTHER THAN REJUVENATION? The actual process of injecting is done with the help of local anaesthetic. We have mastered the art of doing it with minimal pain or discomfort. Post-operatively, the pain with both the procedures Is minimal. Almost no painkiller is required after a synthetic filler injection and a combiflam or a analgesic tablet such as voveran is enough after Fat grafting. 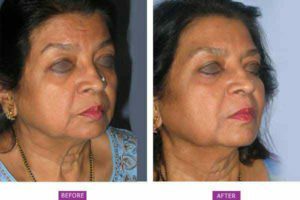 IS THERE PAIN DURING AND AFTER INJECTION OF FACE FILLER? WHAT ARE THE ADVANTAGES OF SYNTHETIC FACE FILLERS? It is an outpatient procedure under local anaesthetic which has a minimal downtime and it is almost immediately possible to see the final result. Can be considered as a lunchtime procedure. WHAT ARE THE DOWNSIDES OF SYNTHETIC FACE FILLERS? Although with the technique we use, the amount or risk of bruising has reduced, there is still a minor risk of bruising, which may take up to some few weeks to disappear, if in case it happens. The other downside is the short life of the fillers. WHAT ARE THE ADVANTAGES OF NATURAL FILLERS SUCH AS FAT? Fat is autologous, which means your own tissue. There is no risk of rejection. Fat is an excellent source of stem cells. These stem cells contribute to a rejuvenating effect. WHAT ARE THE DISADVANTAGES OF FAT GRAFTING AS A FACE FILLER? Up to half of what we inject can get absorbed, so a bit of overfilling is necessary initially. The amount of bruising is sometimes more. There is a downtime, which may extend from a couple of weeks up to some required weeks, depending on the amount of swelling. Monopolar delivery is radiofrequency for cosmetic rejuvenation is based on applying a single electrode to the treated area whereas the opposing electrode is relatively far removed so that the current goes deeply through the body. As a result, the tissue in the treated area is heated rather deeply (usually up to 20 mm) and intensely, which arguably increases both the potential benefits and risks. 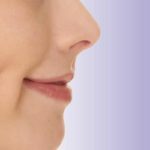 Monopolar radiofrequency is typically used to treat skin laxity and sag, usually of the face and neck. This new technology is a break from the harmful side-effects that are part and parcel of dermal treatments. There is always a new treatment that will get you closer to looking ageless and glowing, just the way Halle Berry and Rekha do. Radiofrequency has been long established as both effective and safe energy tool used in skin rejuvenation procedures, with outcomes rivalling those that you attain by using other energy-based aesthetic approaches. The new radiofrequency device is the new innovation that promises a luminous look. Featuring the fourth generation frequency technology this device is effective for numerous rejuvenation indications such as skin lifting and tightening, nasolabial folds, improving tone and texture, sculpting chin lines, as well as improvement of pores in the facial region. What is great is that your skin gets immediately rejuvenated when this is used, without any pain or downtime. This process is a comfortable treatment option for those who do not want to go for surgical options. As a non-ablative technology using an electric current for skin rejuvenation, the radiofrequency causes focal thermal damage to the dermis, resulting in dermal remodelling and subsequent neo-collagenesis and neo-elastogenesis over time following the wound healing process. The new device works with a brand new grid radiofrequency energy that targets the upper skin layer. The sophisticated treatment tip creates a thermal grid zone from the epidermis to the upper dermis emitting frequency energy in a fractional pattern. The grid-like film and pulse mode selecting system help to protect the epidermis during treatment, thereby preventing any procedural damage. This method is a stark contrast to other radiofrequency systems in which the energy is directed below the skin’s surface, heating the entire target region down to deep dermis while protecting the epidermis via a cooling technology. These systems have problems, including high cost and severe pains from the heat to the deep dermis. 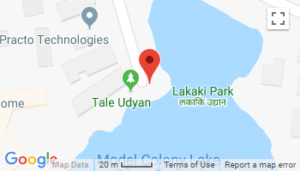 Resulting in a very limited number of areas where they can be performed. 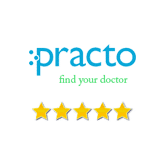 The host of fractional microneedle radiofrequency devices available in clinics deliver energy to the skin, resulting in a heating of deep dermis. Although the downtime associated with these treatments is short, the immediate effect of fractional radiofrequency has a tendency to be inefficient, perhaps due to low needle density, that makes it imperative that only small zones of your body are corrected at a time. Patients are very satisfied with the new device as it achieves immediate tightening and overall rejuvenating effects in the targeted tissues, without erythema, pain or several days of downtime. WHAT DOES INTRAGEN TREATMENT FEEL LIKE? 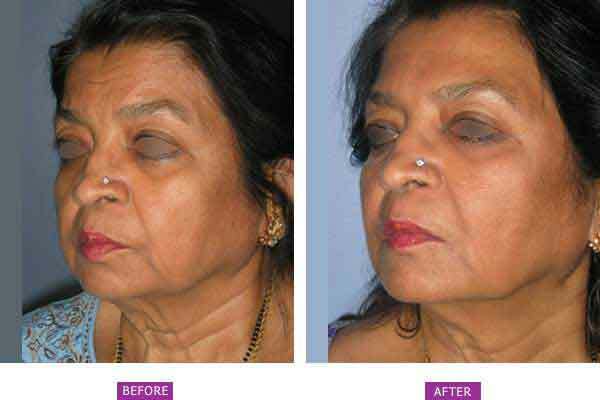 Skin Tightening treatment is very tolerable, and as such it does not require anaesthesia. During the procedure, patients will experience a brief periodic heating sensation. The doctor applies GFR waves to areas of the skin The procedure involves quick applications of coupling fluids lightly for added safety. 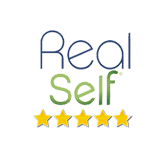 Skin tightening is an extremely safe procedure. There is usually little or no pain involved, and because Intragen treatment is totally non-surgical and non-invasive, there is essentially no recovery time. Almost all patients are able to return to normal activities Immediately after treatment. All the side effects associated with the procedure are minor and generally temporary in nature. The skin tightening treatment is a quick and relatively comfortable procedure. The actual treatment may take anywhere from 20-40 minutes, depending on the scope of the procedure in question. The more area to be covered, the longer the procedure will be. A bit more time should be added for consultation with the physician before and after the procedure. Patients who desire more subtle results and quicker recovery times than are possible with surgical facelift procedure are often ideal candidates for skin tightening. Skin tightening with the Intragen Grid Fractional Radio Frequency System is also beneficial for patients who are developing prominent folds and sagging in areas of the face but that are not considered suitable candidates for a traditional facelift. Skin tightening is an excellent treatment option for Patients who wish to reduce the appearance of subtle facial wrinkling and sagging skin. 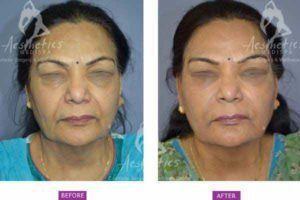 If you want to rejuvenate your face without undergoing a more invasive procedure like facelift, this may be the ideal treatment for you. One of the biggest advantages of this treatment Is that no repeat procedures are required. By contrast, laser skin tightening procedures can require as many as 10 or more treatment sessions to produce desired results. With the skin tightening procedure, many patients experience excellent results To minimum six months after their first treatment. Indeed, most patients’ results will actually improve over the course of the first 2 months following the treatment. Dark circles under eyes can be caused due to hyperpigmentation, visible blood vessels, iron deficiency, fat loss, ageing, as a side effect of certain medicines, lack of sleep and smoking. As there are so many contributing factors for under eye dark circles, it becomes necessary to first determine the cause than the treatment. Possible risks include scarring, infection, reddening of skin. The patient may also experience darker skin tone and mild pain. Bruising and swelling can occur but subsides gradually. Burns is a possibility; however you do not have to worry about it as our cosmetologist will make sure no burns occur. A consultation with your Aesthetic Plastic surgeon at Aesthetics Medispa is the first step to learn how dark circle reduction can improve your appearance. This consultation will fully educate you in a non-pressured environment and will include a discussion of your goals, options available for dark circle reduction, likely outcomes, potential risks and complications.